With the valuable assistance of skilled team of professionals, we are engaged in offering an extensive range of high-quality Tower Bolt. Note: Price may vary depending upon specifications, quantity and quality of the product. 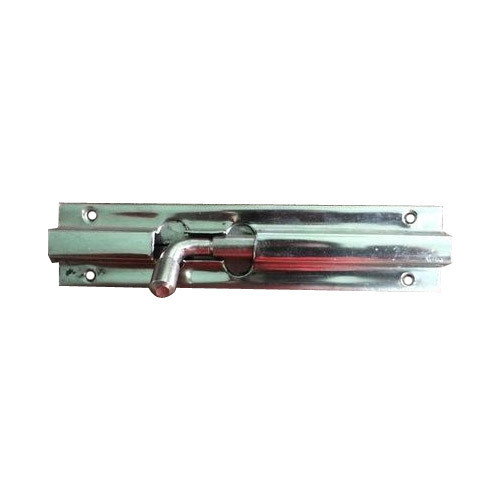 Jash Metal is a distinguished manufacturer of a wide range of Door Aldrop, Door Aldrop Kit, Door Stopper, Door Handle, SS Tower Bolt, Stainless Steel Hinges and Door Latch. Founded in the year 2012, we are a Sole Proprietorship company that is incepted with an objective of providing high quality products in diverse specifications within limited time period. Situated in Ahmedabad (Gujrat, India), we have constructed a wide and well functional infrastructural unit that plays an important role in the growth of our firm. Under the headship of "Mr. Shreyank" (Proprietor), we have gained huge clientele in our country.